Reality: The U.S. Census Bureau came under fire a while back for choosing “Hispanic” as an ethnic category representing U.S. residents originating from Spain and Spanish-speaking America. Why the clamor? Well, “Hispanic” is a cultural term, not an ethnic group. 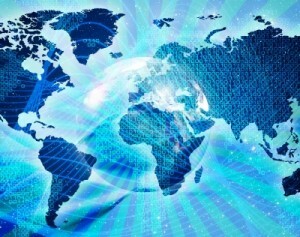 To varying degrees, Hispanics originating from Latin America are descended from European, Native American and Black African groups as well as Asian and other mixes. The U.S. government has had to modify this position. What assumptions should you modify? When you are offered a “tortilla,” do you imagine a flat corn wrap (Mexico) or an omelet (Spain)? When you meet “Spanish” people, are they truly from Spain or are they Spanish speakers from a Latin American country? Does every Hispanic sing and dance salsa, merengue, samba, mariachi, cumbia, flamenco and the tango? Of course all Hispanics are not the same. They are Guatemalans or Cubans or Chileans or Spaniards. The term “Hispanic” refers to anyone originating from a Spanish-speaking country. This extends along a wide range of ethnicities, cultural traditions, regional dialects, diets, political and social backgrounds. In the U.S., immigration patterns from Latin America are heavily influenced by economic and political factors. People coming to the U.S. from the same regions often share common cultural characteristics, customs and behaviors but Latin America comprises incredible diversity. Even more important that their country of origin, families migrating from Latin America are distinguished in their behavior by the socio-economic class they belong to. Some are poor; some are wealthy. Some speak English; some do not. Some seek employment opportunities; others are refugees seeking political asylum. Others come to join family members already living in the U.S. Each group is influenced by distinct experiences and cultural backgrounds. Reality: One could argue that since the majority of Hispanics are at least nominally Catholic—and that many devout Catholics do not practice modern forms of birth control—that this would explain why Hispanic families are so large. But that would be jumping to conclusions. Hispanic households typically are larger than average U.S. households; however, this is not to say that Hispanic couples have more children than Anglo-Americans. Hispanics do not distinguish between ‘nuclear’ and ‘extended’ family. Every relative is part of the family. Unless there is a compelling reason to move out of a family home, even grown children will remain. Often a widowed grandparent, unmarried aunt or cousin attending city college will also live with the family, forming a multigenerational household. The great advantage is always having someone available to take care of babysitting and housekeeping duties; having additional sources of household income; and, when there is a repair needed, there is always a talented cousin or nephew to help out. It makes the yellow pages obsolete! Reality: On the fateful date of September 11, 2001, all eyes were glued to the horrific image of the New York Twin Towers collapsing over and over again on the television networks. Many North Americans can recall where they were on that day and can just as easily recall the visual images and the reporting on the aftermath of the terrorist attack. What many don’t realize is that Spanish language television networks in the U.S. were also reporting on the event. It was interesting to note one unique element that distinguished their reporting. Family holds the highest priority, even over one’s job. Family unity and respect are held as core values in the Hispanic culture. 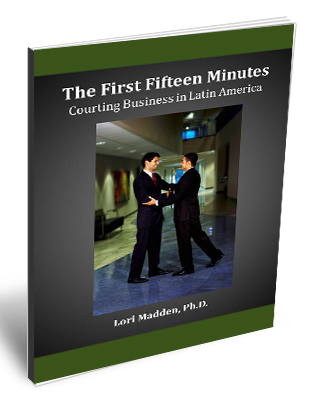 You may be surprised to learn that in a job interview in Latin America, it is expected that the candidate will talk about his family along with other personal information during the interview process. This gives the interviewer a notion of the candidate’s family lineage to discover if he comes from a decent background. Inversely, a job candidate is advised never to speak poorly of or complain about his parents for this would leave a bad impression. A Hispanic is a member of a family and a community first, and second, an individual with specific capabilities and talents. 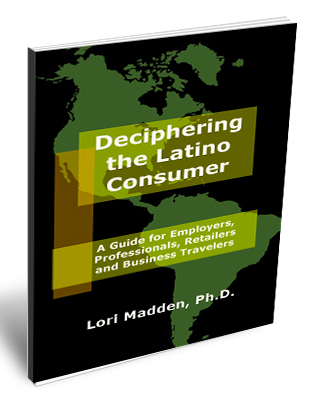 Lesson: Be inclusive of all family members, whether you work in a physician’s office, a social service or government agency or you are a retailer looking for the right promotion to attract Hispanic customers. Reality: Statistics may show that the majority of immigrants from neighboring Latin America come to the U.S. seeking opportunities for employment that don’t exist for them at home. Many are poor. Some are here illegally. Many seek manual labor. Some lack formal education. But there is a difference between formal education and occupational training. Misconception #5: Hispanics don’t spend much money here in the U.S.
Hispanics are not impulse buyers. They will look for value when spending their discretionary money. Even if it takes time to amass enough money, they will spend to purchase something they really want. It is true that many immigrants will send some of their earnings home to their country of origin to help support those left behind. But this demographic’s earning power is growing steadily if only due to the increasing number of Hispanics in the U.S. Those transplanted families continue to raise ever increasingly acculturated children who will adopt more of the typical North American’s spending habits. Consumerism is inevitably going to grow among Hispanics in the U.S. Lesson: Don’t underestimate the purchasing power of Hispanics. Discover their buying habits. Target your marketing efforts to them, and offer them value in your products and services.